As a sporting legend and highly regarded football speaker throughout the sporting world, Peter Shilton is one of the best goalkeepers to ever play for England. During his international career, Peter established a record of 125 caps for his country, a feat that has yet to be replicated. Peter's experience of peak performance at the highest levels of sport translates well to corporate environments as a sports speaker. Peter communicates vividly the self-discipline and dedication it takes to become the world's best and possesses an infectious desire for success that he tries to instil into every audience member. Beginning his playing career at Leicester City, Shilton had considered moving after their relegation, yet stuck with his boyhood team. Time would show that this was a wise decision, as Shilton impressed England manager Alf Ramsay sufficiently to warrant a debut international performance against East Germany, with England winning the game 3-1. 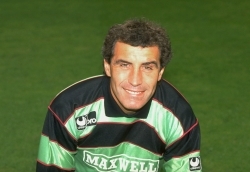 A little over six months later, Leicester were promoted back to the First Division of English Football, thanks in part to Shilton's outstanding performances. During his playing career, Peter won two back-to-back European Cups with the Brian Clough's Nottingham Forest and was named the PFA Player of the Year for 1977-1978. Shilton earned both an MBE and OBE for his services to football. Shilton's illustrious career and the dedication needed to perform at this level relates well to corporate audiences, making him a renowned football speaker. Besides football, Peter has made regular appearances on a whole host of television programmes, including Celebrity Come Dine With Me, Let's Dance for Sports Relief and the renowned BBC talent show Strictly Come Dancing. Peter's quick-stepping and waltzing ability confirmed his status as one of the nation's best loved sports stars. Creating an exciting new career path as an experienced after dinner speaker and keynote speaker for both corporate and sporting audiences alike, Peter has the ability to give insight into some of football's most crucial and famous matches while interacting with his audiences with humour and charm.